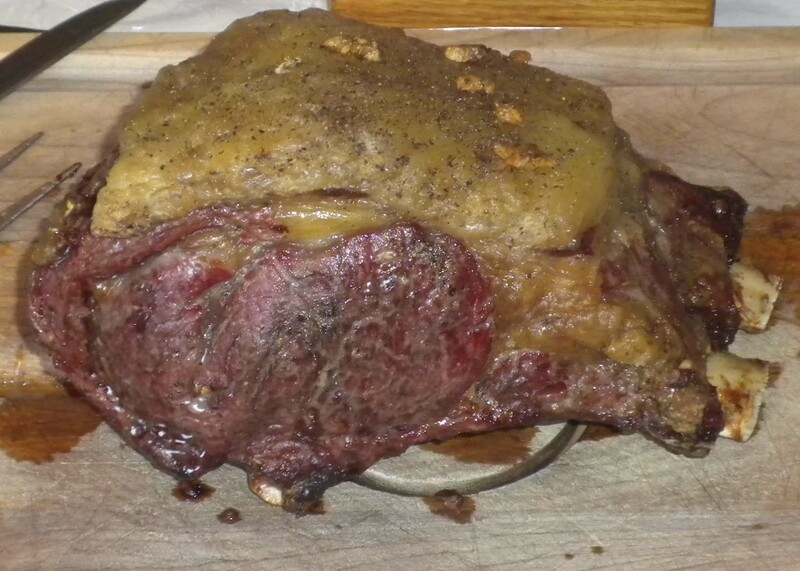 Barbecued Grassfed Prime Rib with a Garlic Marinade from my upcoming book. The Paleo diet has been adopted by many people, and the numbers are growing. The idea that we should eat like our ancestors makes complete sense, as our bodies have evolved to eat and process the foods they used over tens of thousands of years. While there are different variations of Paleo diets, one thing is true for all of them—grassfed meat is ideal, especially when barbecued. 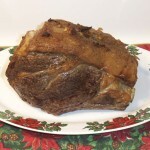 I did not know about the Paleo diet when I wrote my first cookbook, Tender Grassfed Meat. As I followed news of my book on the Internet, I came across a number of comments on Paleo websites that praised my book and talked about how it was great for people following a Paleo diet. These comments inspired me to learn about Paleo. The Paleo concept is both simple and profound. The idea is that we should eat the same foods that our distant ancestors ate, before agriculture was developed. The argument is a powerful one—agriculture is only a few thousand years old, but humanity has existed for tens of thousands of years, or much longer. The foods eaten by humanity over these tens of thousands of years included the meat and fat of ruminant animals, the meat and fat of other animals such as wild boar, the meat and fat of a huge variety of birds, wild fish, and seafood. Nuts, berries, wild roots, and plants were also eaten. Meat was eaten on the bone whenever possible, and bones were cracked open for their marrow, and formed the basis of early broths. Because humans have been eating these foods since the beginning, they are ideal for our bodies, since we have evolved to eat and digest them. The food of agriculture, such as grains and dairy, as well as all of the modern processed foods, are new to our bodies and can cause problems with digestion and absorption, as well as allergies and other problems. Therefore, a true Paleo diet would avoid all modern foods, and many traditional foods, including all grains and dairy. I personally eat lots of dairy, but only in its traditional forms. Humans have been eating traditional dairy for about ten thousand years, and my body does fine with it. I avoid most grains, and find that I can easily do without them. I avoid all modern processed foods. 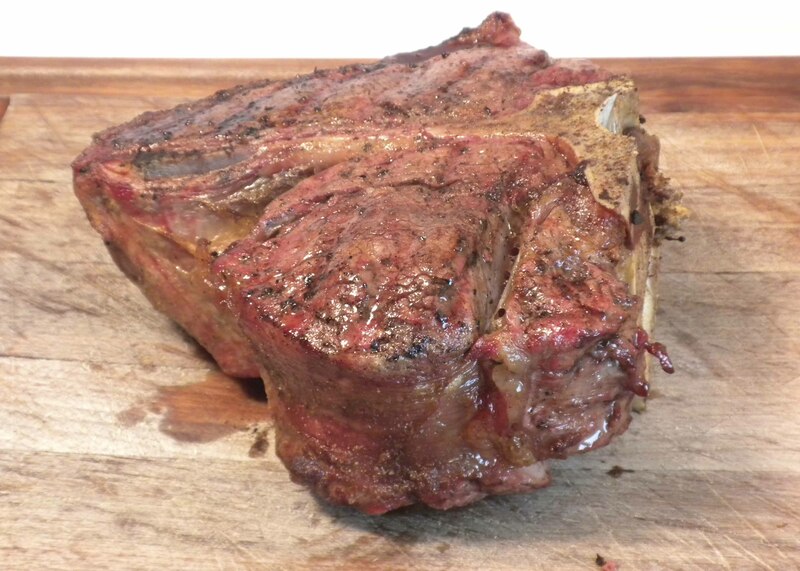 But the food I enjoy and crave the most is Paleo—grassfed meat and fat, cooked in front of burning coals. But it is not enough just to eat meat and fat. Modern industrial meat has a totally different nutritional content from the meat eaten by our ancestors. Grassfed meat and fat is as close as we can get to the meat that nourished our ancestors (with the exception of wild game). Dr. Weston A. Price, spent ten years studying the diets of the traditional peoples who were free from the chronic diseases that plagued the modern world, such as tooth decay, heart disease, asthma, cancer, allergies, birth defects, and just about every chronic modern illness. He did not read reports or studies, but actually travelled to where these people lived and met them, taking detailed notes on what they ate and how they lived. Three of the healthy peoples studied by Dr. Price were eating a Paleo diet, in that they had no agriculture and no dairy. They lived completely from hunting and gathering. Their traditional diets had not changed for many thousands of years. These peoples included Alaskan Eskimos (Inuit), Australian Aborigines, and Canadian Native Americans. When these peoples ate their traditional Paleo diet, they were healthy. When they ate modern foods, they were riddled with all kinds of chronic disease, and died in large numbers from diseases such as tuberculosis. These peoples all ate the meat, organs, and fat of grass-eating animals, as well as other animals. Those who lived by the sea also ate huge amounts of wild seafood and fish. While all of these peoples gathered and ate a variety of nuts, berries, and plants, their diets focused heavily on meat, organs, and fat, both from land and sea animals. All of the animals they ate were eating a species-appropriate diet such as grass and meadow plants for herbivores. Most of the foods eaten by early humans are not readily available to us. But we can find and eat foods that have a similar nutritional profile. The major food of these people was the meat and fat of animals, especially ruminant animals. We can get an almost identical set of nutrients by eating plenty of grassfed meat and fat, as well as the organs of grassfed animals. Grassfed bison meat, from bison grazing their natural habitat, is just about identical with the bison that was eaten by early humans. Grassfed beef is very similar, even though the breed and characteristics of the animals have changed from the wild varieties available before agriculture. Grassfed lamb and goat also have a similar nutritional profile. Pastured pork, from pigs who have been allowed to root in the forest like their wild ancestors, is another meat that is close to the meat eaten by early humans. While the peoples studied by Dr. Price ate some of their meat raw or fermented, much of their meat was cooked, and it was almost always cooked in front of a fire. I do not know if any nutrients are enhanced by the barbecue process, but the taste certainly is. The mouthwatering smell and taste of charcoaled meat appeals to most people on a primal level. The smell of meat roasting in front of a fire, the flavor added by the burning coals, is one of the oldest human pleasures, one that has been enjoyed for ages. By barbecuing grassfed meat in a traditional manner, we can enjoy this primal taste, as did our ancestors. This article was taken from my upcoming book on grassfed barbecue. 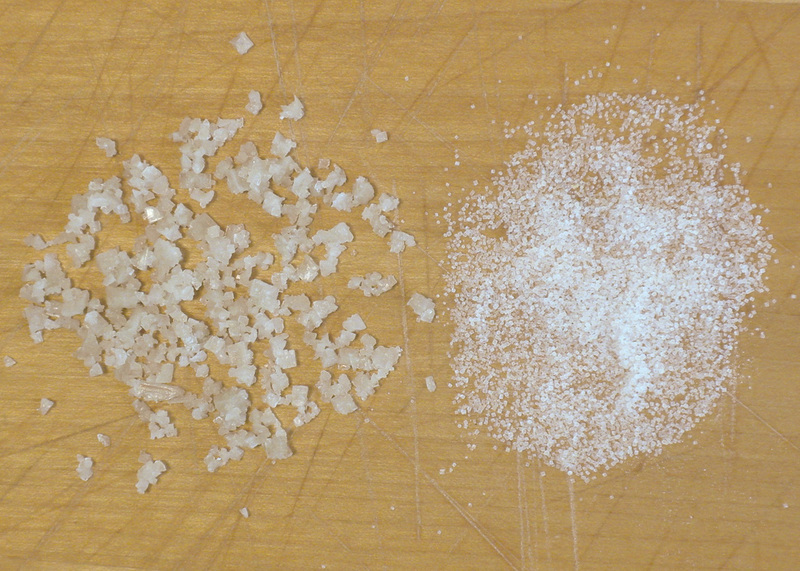 Natural unrefined sea salt on the left and industrial salt on the right. Salt is necessary for life. If you get only some of the salt you need, you will experience serious health problems. If you do not get a minimum amount of salt, you will die. Yet salt is vilified and blamed for high blood pressure and other diseases. The idiotic nutritional guidelines issued by the government demand that everybody cut their salt intake substantially. Various city governments are also trying to seriously reduce the amount of salt eaten, even putting restrictions on restaurants. Industrial salt, which has everything but sodium chloride processed out of the salt. Natural salt has been used by humans since the beginning of humanity. Industrial salt did not even exist before the twentieth century. But this crucial difference is ignored by a large portion of the medical profession and by the government, which considers all salt to be the same. There is a great difference between the two salts—in composition, nutrient content, and taste. Natural unrefined salt is greatly superior, in every way but one. Natural, unrefined sea salt contains dozens of trace minerals and other substances. Industrial salt contains only pure sodium chloride, and chemicals and sweeteners that have been added to make the salt eatable and free-flowing. When we eat salt, our bodies have evolved to expect all the trace minerals and other substances to come with the salt. When those minerals and substances are not in the salt, our body craves them, and sends out the hunger signal to eat more salt. But no amount of industrial salt will satisfy this craving, because the minerals and other substances are just not there. This craving causes many people to eat too much industrial salt. Natural, unrefined sea salt contains all the trace minerals and other substances that our bodies have evolved to use when salt is consumed. This kind of salt is very satisfying, and I find that it takes much less natural salt to satisfy my salt hunger. All salt, from the cheapest supermarket brand to the most expensive sea salt, is the same. All salt, from the cheapest supermarket brand to the most expensive sea salt, tastes the same. I promptly cancelled the subscription to the publication. Why? Because both of those statements were utterly untrue. I knew that the composition of these salts were different just by looking at the content of the salts. I knew the taste was different because I have a tongue. Unrefined sea salt comes in various forms, which vary in taste, but all of these sea salts taste so much better than industrial salt. In fact, pure sodium chloride tastes so harsh and bitter that nobody can stand the awful taste. That is why sweeteners and chemicals are added to change the taste. One of the most common additions to industrial salt is—sugar. Why is salt refined? Money. The trace minerals extracted from refined salt are valuable and have many industrial applications. Industrial salt is much cheaper. That is why industrial salt is used in most processed foods. The other reason is convenience. Unrefined salt tends to clump together, and not flow freely. The user must break up the clumps to use the salt. Industrial refined salt flows freely and easily, because it has chemicals added to make it so. I would much rather deal with salt clumps than eat industrial salt. I only use unrefined sea salt for cooking and seasoning. I have two reasons: I believe my body has evolved to use salt in its natural form with the trace minerals, and unrefined sea salt has a much better flavor. Some people have asked why Tender Grassfed Meat uses only unrefined sea salt in the recipes. The answer is that unrefined sea salt tastes so much better. Disclaimer: I should mention that I am not a doctor or a scientist, and I am not advising anybody on the safety or usage of salt, or what salt, or what amount of salt to eat. I am merely describing my understanding of the differences, and my personal reasons for only using unrefined sea salt. Traditional peoples did not have the ability to purchase mineral supplements. Instead, they had something far better—bone broth. A soup made from the bones, sinew, and meat of grassfed animals. These people had no scientists to identify and classify the minerals, or to come up with “minimum daily requirements.” Instead, they had something far better. A tradition of simmering the bones, sinew and meat from animals for many hours, and drinking the mineral-rich broth every day, getting everything needed to fully assimilate and use the minerals. Just about every traditional people used bone broth. Bone broth is not hard to make, though it must simmer for many hours for the nutrients to be released into the broth. 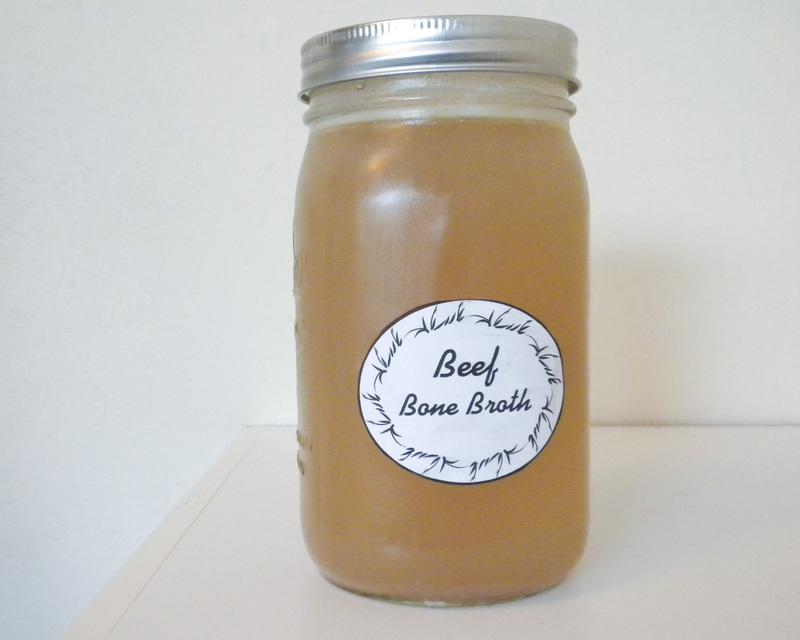 Tender Grassfed Meat contains a number of recipes for traditional bone broth. Bone broth is still the best and most natural way to ingest minerals and other vital nutrients. We can still get the bones, meat, and sinew to release their nutrients into the broth by simmering for many hours. However, it is vital to make broth from nutrient-rich bones, meat, and sinew. Which is why I make all my broths from the bones, sinew, and meat of grassfed or pastured animals. We need many minerals to have healthy bones, and to support the proper functioning of our bodies. The bones and sinew of meat animals contain just about all of these minerals. However, the minerals are locked into the bones. Our ancestors found that the best way to get the nutrients out of the bones was to make a broth that would simmer for many hours. Water is a solvent, very good at getting things to dissolve. Simmering water is even better. The sinew and meat that cling to the bones also contain many beneficial nutrients, which are also released into the broth by long simmering. The nutrients in broth are easily absorbed by the body, and you get the full range of nutrients. Human beings have drunk bone broth for many thousands of years, and our bodies have evolved to easily absorb the nutrients in broth. The use of bone broth, from the bones of grassfed or pastured animals, or from wild fish, is universal among traditional cultures. Just about every people knew of the nutritional power of bone broth. Broth was a universal remedy for illness used by just about everybody. It is important to realize that bones cannot release nutrients that are not there in the first place. The animals used for the broth should have been raised on good soil, so the animals got the nutrients that they needed for healthy bones. The animals should also have been fed their natural feed, grass. Unfortunately, the nutrient content of soil, plants, and animal foods has been steadily declining because of the unnatural practices of industrial agriculture, which deplete the soil of many important nutrients. Industrial agriculture also gives species-inappropriate feed to meat animals, which often has an adverse effect on the nutritional value of the animal. Grassfed animals, raised on good soil, have healthy bones loaded with nutrients, and are the best choice for bone broth. Grassfed bones also make the broth taste much better. My family has some homemade bone broth every day. The broth tastes so good, and feels so right as it is slowly sipped and absorbed. Grassfed bone broth is a nutritional treasure. 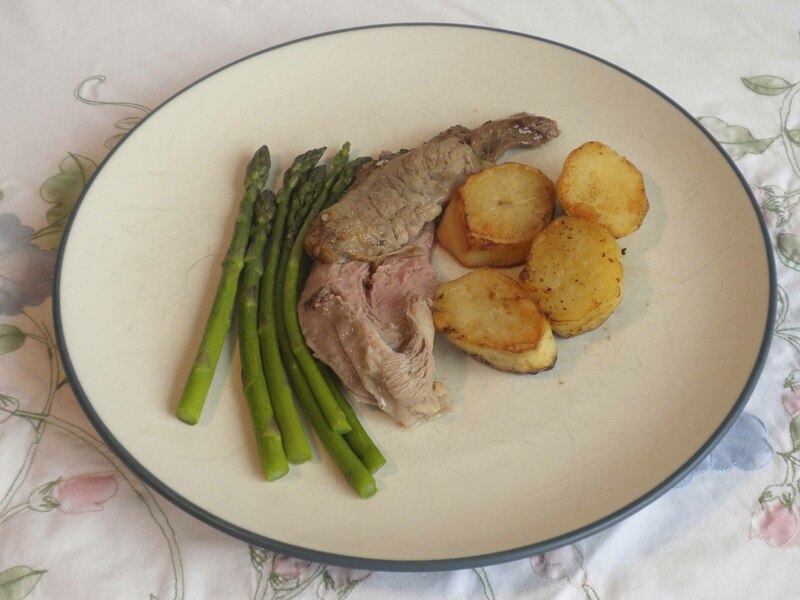 Roast grassfed Spring lamb with organic asparagus and potatoes. I am grateful for grassfed meat and real food. Thanks to the ranchers and farmers who raise real food. Thanks to those who spread the truth about food. I was sitting quietly last night, thinking about my life. The life that was supposed to have ended eight years ago. The life that is free of pain and illness. The life that is drug-free, medication-free, doctor-free, and symptom-free. The life that is full of joy and love and purpose. The life that is full of wonderful, delicious, nourishing food, the food that made life itself possible. And I thought about the people who spread the word, giving me the knowledge that saved my life and made the health and joy I experience every day possible. I am deeply grateful to those who raise the food, and to those who spread the word. As discussed in detail in the “About” section on this website, I was very ill for most of my life. After getting a medical death sentence in 1998, and being told I had no more than five years left, I realized that the medical profession could not help me. I searched for another way, and found the teachings of Dr. Weston A. Price, as demonstrated and presented by the Weston A. Price Foundation. My path to health was nothing more or less than eating the right food, and avoiding the wrong food. The right food is the unmodified food eaten by our ancestors, designed by nature to make us strong and keep us healthy. The wrong food is modern factory food and artificial ingredients, designed by greedy men to make money. The right food includes the meat and fat of grassfed animals, pastured animals, wild fish, and vegetables grown in good soil, without chemicals. The right food also includes traditional foods like butter, full fat cheese, pastured eggs, unmodified and unprocessed milk, fermented foods like sauerkraut and other lacto-fermented vegetables, organ meats from grassfed or pastured or wild animals, and many other traditional foods. The right food is demonized by the government, the media, the medical profession, the drug industry, industry, the educational system, and big agriculture. Why do they demonize the food we need to thrive and be healthy? Because people who eat the right food and avoid the wrong food have little or no need for doctors, drugs, or industrial agriculture. When I avoided the wrong food and ate the right food: my health returned, as did my eyesight, sense of smell, energy, joy of life, enthusiasm, and many other qualities associated with youth. Last night, I enjoyed a wonderful feeling of total well-being, health, and contentment—at age 59. None of this would have been possible without two very wonderful groups of people. Those who spread the word and those who raise the food. My second thanks goes to Sally Fallon Morell, the founder and President of the Weston A. Price Foundation. Nobody has heeded the call of Dr. Price better than her. She made the teachings of Dr. Price far more understandable and accessible, posting a free library of nutritional truth at the Foundation’s website, writing a magnificent cookbook and nutrition resource entitled Nourishing Traditions, and selflessly spreading the teachings of Dr. Price throughout the world through the Foundation and her own travels. The website of the Weston A. Price Foundation gave me the knowledge I needed. My third thanks goes to the many others who spread the teachings of Dr. Price, and/or other nutritional wisdom, often through blogging, writing books and articles, and giving seminars and lectures. The list of these people is just too long to include by name. My fourth thanks goes to everybody who had the courage and wisdom to actually try real food, and to share their experience with their families, neighbors, and friends. Knowing what to eat is not enough. You have to be able to find the food. Raising real food is much more difficult and requires far more knowledge than raising factory food. My deep gratitude to all who raise grassfed meat and other real food, without chemicals, in accordance with the laws of nature. I will thank those wonderful farmers and ranchers who raise the food eaten by my family, including John Wood and all the folks at U.S. Wellness, Glenn and Caryl Elzinga of Alderspring Ranch, Ed Wimble and his partners at Homestead Natural Foods, Reed Anderson of Anderson Ranches, Lee and Mary Graese of Northstar Bison, Leland Mora of Humboldt Grassfed Beef, Chris Kerston of Chaffin Family Orchards, the farmers at the Danville and Walnut Creek Farmers’ Markets, and everybody else who has had a part in raising the wonderful food we are so lucky to eat. I owe my good health to two magnificent groups of people—those who spread the truth, and those who raise real food. Most of the people I know eat factory meat. When I encourage them to try grassfed, they have two major objections. The first objection is the belief that grassfed meat is “tough.” Grassfed meat is exquisitely tender when cooked properly. But grassfed meat must be cooked differently than factory meat, because it is a very different product. That is why I wrote Tender Grassfed Meat, which contains detailed instructions on the proper cooking of this wonderful food. But the biggest objection, the one that convinces most people not to buy it, is the price. Grassfed meat costs more per pound than most factory meat. That is a fact. But price is not everything. Grassfed meat is worth the additional price to me. Why? Grassfed meat tastes much better. Most factory beef is given artificial growth hormones, and given regular doses of antibiotics. Both of these practices result in the factory steer growing and fattening much faster than a grassfed steer. While this increases profits, concerns have been raised about the effect of these practices, which are not natural. Many countries ban the use of these hormones. The medical profession and many scientists have objected to the regular feeding of antibiotics to cattle, stating that it could cause the growth of bacteria that is antibiotic-resistant. Every grassfed meat producer I know makes a point out of the fact that they do not use artificial growth hormones or regular doses of antibiotics. Factory cattle spend the last 90 to 180 days of their lives crowded together in a feedlot, eating foods that are inappropriate for cattle, such as GMO soy and GMO corn, and many other unnatural foods. This changes the natural balance of omega-3 to omega-6 fatty acids dramatically (see this fine article at EatWild.com Health Benefits of Grass-Fed Products), deprives the cattle of the nutrients that are present only in green, living grass, and results in meat that is spongy and full of water. True grassfed cattle are out on the pasture where they belong, eating the foods they have evolved to eat, and have a perfect balance of omega-3 to omega-6 fatty acids, and many other nutrients that are depleted or missing in feedlot cattle. The meat and fat from grassfed animals is one of the oldest human foods. Humans have been eating this meat for tens of thousands of years, maybe much longer. Our bodies have evolved to eat, digest, and process this food, and need the nutrients in the fat, meat, and organs. Factory meat was invented in the last century, and has been eaten widely for less than 60 years. Our bodies have no meaningful experience with it, in evolutionary terms. Credible studies have shown that grassfed meat gives you far more important nutrients than factory meat. This includes far more omega-3 fatty acids, in an ideal ratio to omega-6 fatty acids, much more CLA (a nutrient that helps the body maintain normal weight and cell structure), and many other vital nutrients (see Health Benefits of Grass-Fed Products). Factory meat has a huge imbalance of too much omega- 6 fatty acids, far less CLA, and less of the other nutrients. Factory meat may be cheaper on a per pound basis, but much of the cheaper meat you are buying is water. Factory meat will often release much water into a pan when cooked, and will shrink dramatically when cooked. That is why cooking with really high heat is so popular when cooking factory meat—the high heat is needed to deal with the water. This applies to every form of cooking, including roasting, grilling, and sautéing. Grassfed meat will shrink very little when roasted, grilled, or sautéed, and does not release water into the pan. I find that I eat about half as much meat now. This is because I switched to grassfed meat, and grassfed meat is so nutrient-dense that I am satisfied with much less meat. After I have eaten a nice serving of grassfed meat and fat, my hunger ends, and I am satisfied. I was never satisfied when eating factory meat. No matter how much I ate, my body was still hungry for something that was not there. The natural balance of nutrients in grassfed meat and fat gives our bodies exactly what they need, and hunger ends. Americans have been marketed into believing that the dull, flavorless taste of factory beef is what they like. All factory beef tastes pretty much the same. No wonder most people cover the meat in catsup and other condiments. 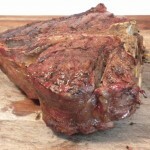 Grassfed meat has a richness and depth of flavor that is wonderful to experience. The taste of grassfed meat will vary, depending on the breed, grass condition, age, aging process, actual plants eaten, and other factors. The wide variety in delicious tastes is something I enjoy. Grassfed meat must be properly cooked to have these flavors released, but the taste is so much better. Grassfed meat does not need much in the way of seasoning to be terrific, and a simple combination of traditional ingredients is all that is needed. Tender Grassfed Meat is full of recipes that demonstrate this delicious fact. After years of eating grassfed only, I experimented with some factory meat. This factory meat was free of hormones and antibiotics, but came from a feedlot. I cooked it with one of my favorite pre-grassfed period recipes. It could not begin to compare with the taste, texture, and joy of eating grassfed meat. Grassfed meat is worth the extra per pound price. There are a number of ways to greatly reduce the price, such as looking for the frequent specials, and buying a quarter, half, or even a whole steer. Grassfed is worth it.